MULCH * COMPOST * FIREWOOD * VEGETATIVE & WOOD RECYCLING * COLORIZED MULCHAmerican Soil & Mulch, Inc. is a large producer of mulch to the landscaping industry. Delivering thousands of trailer loads to the NJ, NY, and Eastern PA area, from Long Island to Harrisburg, from Wilkes Barre to Delaware and all throughout New Jersey. Nurseries, garden centers and landscaping contractor's have grown accustomed to the value of American Soil & Mulch products. Some of our products consist of Double ground mulch, Triple ground mulch and the economically priced Contractor's grade mulch. 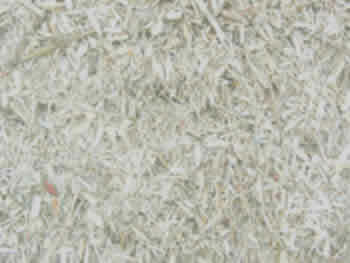 We also offer the very highest colorized mulch available on the market today. We have also just made available mulch with a wonderful licorice scent and mulch with a red reed cedar fragrance. Do you know that American Soil & Mulch offers Vegetative and Wood Recycling? Yes, if you are a contractor or a municipality, we can help you recycle your leaves, vegetative waste, brush, limbs, stumps, and clean wood. For further information please visit our Vegetative Recycling & Disposal page located right here on our website. American Soil & Mulch, Inc. provides a full spectrum of recycling and disposal services. By integrating our expertise in vegetative and wood waste recycling, composting and landscape product manufacturing, American Soil & Mulch provides cost savings and service efficiency unmatched by any other company in our industry today. American Soil & Mulch, Inc. can assist you with your wood and vegetative waste removal and/or recycling efforts. Cost savings programs can be created or customized to assist any private industry, hauling companies, transfer stations, municipalities or state or governmental agencies. If removal is necessary, American Soil & Mulch will place roll-off containers, closed box trailers, flatbeds or walking floor trailers at your location for loading and removal. If on-site is preferred, American Soil & Mulch can supply a tub grinding service with experienced operators to assure productivity and safety in a cost efficient manner. Conveniently located right off Routes 78, 22 and 33.